Personalized learning is happening across the district. Teachers are diving into the Gates Foundation’s four personalized learning tenets: personal learning paths, learner profiles, competency-based progression, and flexible learning environments. While it’s not always easy, educators are doing this because they know that reaching students on a truly personalized level is what’s best for kids. 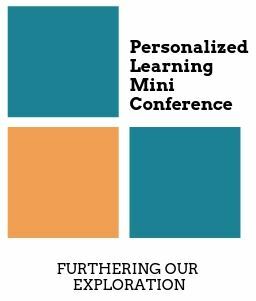 On February 2, 2019, the Professional & Digital Learning Department will host a Personalized Learning Mini-Conference at Hofius Intermediate. We are looking for current teachers, administrators, instructional and digital learning specialists, and TLC staff to share their expertise in incorporating personalized learning experiences. We have several session types to lead from a traditional breakout to a small group discussion. In addition to sharing your knowledge, this is a great opportunity to refine your presenter skills and network with a vast audience in the district. If you are interested in presenting, please submit to this form. Please note that presenters can choose from leading 2-4 sessions. Submissions are due by Friday, December 21, 2018. Let’s build community and cultivate talent with personalized learning!